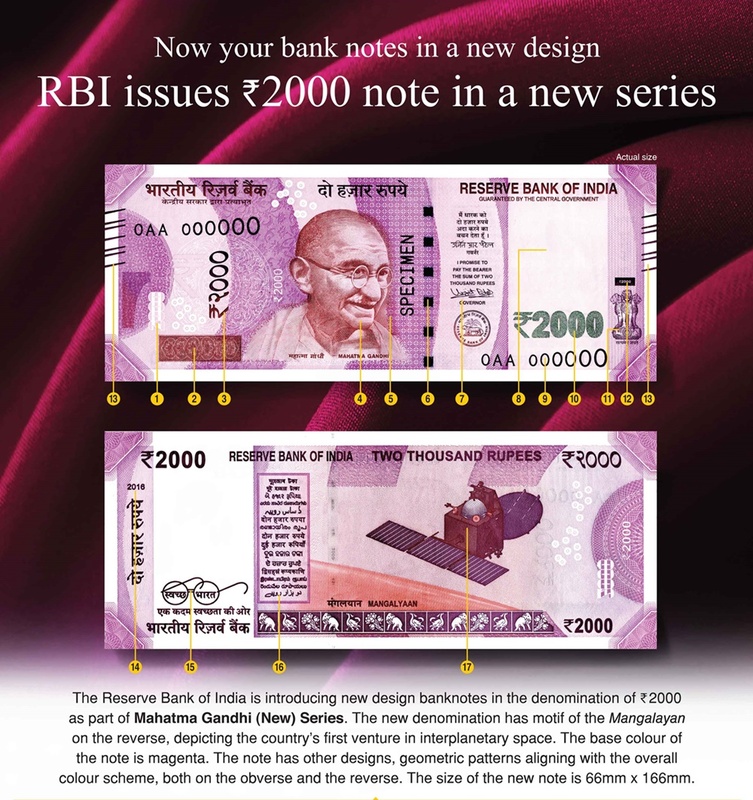 The Reserve Bank of India will shortly issue Rs.2000 denomination banknotes in the Mahatma Gandhi (New) Series, without the inset letter, bearing signature of Dr. Urjit R. Patel, Governor, Reserve Bank of India, and the year of printing '2016' printed on the reverse of the banknote. The new denomination has Motif of Mangalayan on the reverse, depicting the country’s first venture into the interplanetary space. The base colour of the note is magenta. The note has other designs, geometric patterns aligning with the overall colour scheme, both at the obverse and reverse.